I’S ON THE STREET is an award winning outreach/support services program by NWHCS that engages homeless or at-risk-of-being-homeless persons into supervised employment cleaning and tidying the sidewalks/streets in front of local businesses. 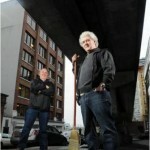 It is based on a proven model with 30 years of success in Metro Vancouver and is a non-profit social enterprise designed to serve as a “stepping stone” to regular employment. The purpose of the program is to first connect homeless or at-risk-of being-homeless persons to the support services they need (i.e., shelter and housing, health and safety, addictions and mental health, employment and job training). Then once stabilized the focus is turned to social integration and enhancing self-worth through employment. Clients who engage in I’S ON THE STREET become empowered, building habits and attitudes needed to be a self-supporting member of the community. Living with mental health or addiction problems and/or finding oneself homeless is a stigmatizing and profoundly humiliating experience. Indeed, when individuals seek help they usually do so with a long list of issues that need attention. The I’S ON THE STREET program helps clients by constructing a prioritized plan of action towards building stability. Then it is vital to work on their skills development through employment, which rebuilds confidence and self-respect. 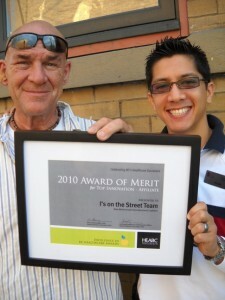 Programs like I’S ON THE STREET empower individuals to be self-reliant once again. The program starts with the belief that there is inherent dignity in any useful work that contributes to the betterment of community. By interfacing with the community in roles in which they are valued instead of feared, “I’s” employees develop and enhance positive self-worth, which in turn better prepares them to function effectively in other areas of their lives. 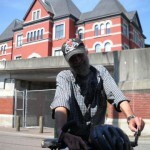 To demonstrate that homeless or near homeless people can provide quality work. 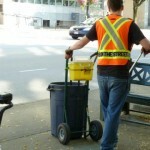 Currently, I’S ON THE STREET operates in the Uptown and Downtown business districts of New Westminster, BC. It is a unique partnership between NWHCS, the City of New Westminster, Vancity (Vancouver City Savings Credit Union), the Downtown New Westminster Business Improvement Society, Uptown Business Association of New Westminster, Fraserside Community Services Society, The New Leaf Clubhouse, Canadian Mental Health Association – Simon Fraser Branch, New Westminster Mental Health Services FHA, and Beacon Unitarian Church. NWHCS gratefully acknowledge the support of all these partners.